Due to the Quantum No Cloning Theorem (QNCT), you cannot copy qubits (quantum bits). Therefore in a quantum programming language, you cannot use "=". How would you code a program without using "=" once? Can you imagine that? The underlying programing language of Ampligence is the "C<" language, which supports OOPP style programing that doesn't need to use “=” at all. 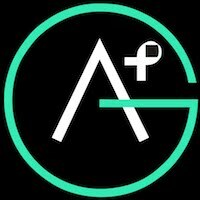 Ampligence is an A.I. system that truly understands math and math-related subjects. It can seamlessly communicate with the user in real-time on STEM subjects, understand the user's reasoning process, assess the user at a step-by-step detail level, record activities from the user in Hertz (every second) with fine detail, and analyses the user in real-time to give sophisticated personalized feedback. Using blockchain technology, Ampligence builds a globally trusted decentralized life-time academic record database. Ampligence A.I. technology gives every individual user his or her own one-on-one mentor that is available 24x7. How does your idea help adults in the U.S. develop the skills and obtain the credentials that lead to further education and employment in a rapidly changing economy? Academic credential is very centralized to each individual institute; the transfer and validation of such credential is highly convoluted. Amplicence's decentralized credentials database is at bank-level security. In the same analogous way that Bitcoin is a globally trusted decentralized currency, Ampligence creates a globally trusted decentralized academic credential system leveraging the same blockchain technology. This academic credential database is different from all other database. It does not store any subjective evaluation, like test scores, recommendations, GPAs, but rather it only stores objective facts: the life-lime-long per-second activities the each user performed. In short, we only record what they've done, but we don't judge or evaluate. The evaluation of each user's credential is delayed to the moment that the user needs to be evaluated, by scanning the entire chain of activities the user have performed throughout his or her life-time. This has the advantage that the users can be evaluated at different standards based on the particular interest of the evaluator (e.g., employer), rather than evaluating all candidates in the database with the same standard. For example, physics students generally don't need to know "logic gates" but logic gates is a part of the GRE physics test, because many engineering students are also taking the GRE physics test. In this rapidly changing economy, a skill today might not be a skill tomorrow, and vice versa. A skill in this profession might not be a skill in that profession...until one day. Beauty is in the eye of the beholder; skill is in the eye of the economy (market). Only a database that does not prematurely judge the students can be forever relevant, because the evaluation is delayed to the employer's own need. In the same way Bitcoin is not augmenting existing banking systems, Ampligence is not augmenting obsolete school systems, but rather establishing a decentralized and better credential system that people are willing to trust, not a credential system that people have to trust due to monopoly. How does your solution give all Americans, regardless of race, income and other socioeconomic factors, a fair shot at success, thus contributing to the reduction of the inequality gap? Using blockchain technology, the holder of an account is fully anonymous. Bitcoin does not care and cannot care who is the owner. The advantage of our decentralized database is that each owner is only represented by an anonymous account (a random hash-code). The employer can inquire about the account holder's skill and quality, but nothing else about the race, income, or socioeconomic factors, because the database cannot easily track the owner's other identity. The only sustainable solution to the education inequality gap, once for all, is to offer education at zero marginal cost---instead of at zero marginal revenue (being subsidized). Like movies, any ordinary citizen can watch a movie with the same excellent story the president can watch. Zero marginal cost does not mean it costs zero to produce a movie, but it costs zero to serve one more user. That's exactly what Ampligence's technology can provide: fully autonomous education at exactly zero marginal cost. Ampligence A.I. is able to provide A.I. tutor services at human tutor quality with affordable price regardless of who they are, or how much they make. With our zero marginal cost provided by our A.I., our business model can achieve perfect price discrimination by giving disadvantaged individuals financial aid and additional scholarship based on their proof of incomes. What is the potential for broad and rapid scaled impact? Specifically, how is the idea scalable, how can it become a disruptive innovator to accelerate postsecondary learning for adults in the U.S., and how will your organization interact with different stakeholders, institutions, demographics, and geographic locations? Our marginal cost is zero, which means the cost for us to serve one additional customer is absolutely zero without lowering the quality of other users. In fact, due to the accumulation of more "big-data", the quality may even increase for other users. Therefore, our service is infinitely scalable, and our product becomes better the more data we can collection from our users. In our technology and business model, users are not our cost, but our assets. We have the University of Southern California signed up to use our service, although our service does not need to partner with existing institutes. Our service is both B2B and B2C, we are only using existing institute as a channel for us to accumulate early customers. Are there other organizations doing anything similar to your idea? If so, who are they, what are they doing, and how is your idea unique? Khan Academy and many other Khan-Academy-like video-lecturing companies are also offering similar "zero marginal cost" services. However, watching videos can only transfer information "to" the user, but cannot collect (sufficient) data "from" the user. One-way information flow is not a good interaction model nor a good education model. Only Ampligence's patent pending data collection and A.I. technology can offer real-time two-way interaction like a human mentor. We don't have any unique idea. Education has been researched for thousands of years. We don't have any groundbreaking idea to contribute, we simply have the technology to turn ideas into reality. The idea "make no social distinctions in teaching" and "teach students in accordance with their aptitude" had been proposed by Confucius in 500 B.C., and those are still cutting-edge ideas we believe in; we simply have the technology to execute those ideas at zero marginal cost. We don't have any unique idea. Back in 2008, the National Academy of Engineering created a list of engineering goals for the 21st century, and one of them is "Personalized education". All our competitors are striving toward personalized education via data-driven targeted content delivery, we simply have the technology to collect more data and better data 700x faster than our average competitors. In our patent, we have proved our service can efficiently collect more data from the user as least 10x faster than any other method, including paying a human to watch the user in real-time. Because the biggest challenge to our business is to develop this A.I. system, we're still in beta testing and we cannot offer more enrollment, persistence measurements. Ampligence is a cutting-edge technology-driven venture. We only work with other organizations who see value in our early stage technology. If you want to invest in autonomous cars, it will be too late to wait until you see cars running on the street by themselves. We need the critical investment to develop our early stage technology, therefore it is too early for us to provide any post-technology operation statistics. However, Tsinghua University have pilot tested our technology and the students showed great interest to adopt Ampligence into their daily education. Our risk doesn't apply to adult learners, but rather more common to children learners. Because many educational district forbidden the students from using digital devices. But adult learners can regulate themselves. It I ask you to think of a synonym of math, what would it be? Math is an art of thinking, and clearly computers can do calculation and computation but it cannot think. With Ampligence's world's fastest math communication technology "lossless-noiseless-delayless", we bring the world's two most innovative ideas into education: user-specific content delivery and programmable contract (a.k.a. smart contract). If there's a line that separates advertisement 1.0 and advertisement 2.0, it must be that 1.0 sends the same content massively to all viewers, and 2.0 sends the targeted content that each viewer prefers to see. Ads 2.0 became possible because of social media, which generates enough data to know the profile and preference of each user. It's not because suddenly someone realize it's much more efficient to do targeted advertisement, but the technology was impossible due to insufficient data to learn about each user. The innovation of social media filled in the gap of the data, and made targeted advertisement possible. Similarly, in education, we all know it's most efficient to personalize the content and focus on what each student don't know, and skip what they already mastered. But the lack of the technology to collect such data made this approach impossible. Now Ampligence technology is filling this gap. After the buzz word "blockchain" madness, what does it do really? It creates bitcoins, yes, but perhaps more importantly it enabled a new technology "programmable contract". Where people faithfully executes their important contract on blockchain instead of relying on traditional judicial system which costs a fortune. The lesson learned should be that if we writes content in a format that not only humans can read, but computers can also read (programmable). Then the entire process will become much easier, and automated. Using Ampligence's technology, the same way you can craft a contract, you can craft a programmable homework, such that the programmable homework checks the student's error, and gives out help in real-time, as if the teacher sits by the student. What is Ampligence in 1 sentence? 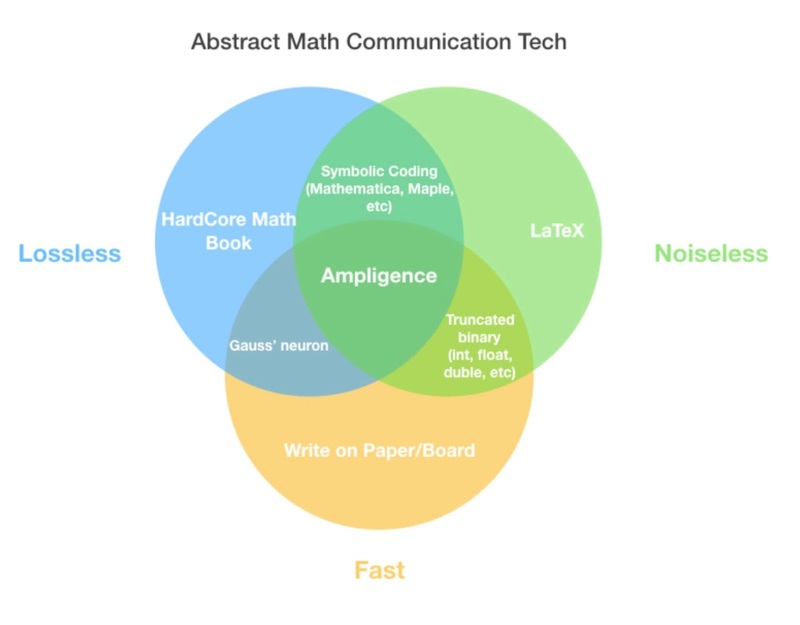 Ampligence is a technology that enables users to have a real-time step-by-step math dialogue with Ampligence's fully-automated math expert A.I., which can result in better learning advancements like tutoring or even research advancements like mentoring, at the marginal cost of zero.